encash will shortly be the new social lending service brand being launched by YES-secure.com Ltd. Our http://www.yes-secure.com website has grown in confidence and experience over the past two years in providing fair and innovative web-based social lending services. encash will cater for lending to both consumers in professional employment and also small and medium size businesses with 3-years or more of good trading history. encash is coming soon. Join free as social lending and borrowing members today at www.yes-secure.com. YES-secure.com Ltd will be relaunching as encash shortly to provide unsecured social loans for UK professionals and business at rates from as low as 8% APR; (we expect typical rates will be approximately ranging between 12 to 15% APR depending on individual borrowers credit history and scores). 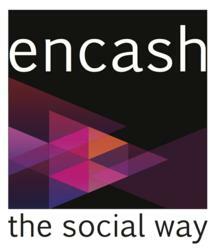 Social lending will become mainstream under the new service brand encash. As a peer-to-peer lending and borrowing platform, encash will be a social and transparent funding marketplace where lenders and borrowers interact with each other and gain from the best rates on offer. encash members will directly lend to businesses and other people who are professional, sound and stable, cutting out banks and other financial intermediaries. encash lending will simply be aimed at good above-average credit-score UK professional households: The aim is to attract 14 millions middle-class housholds with good credit history positioned just below the top 6 millions households that have excellent credit scores. So typical borrower profile will be professionally employed, (for example, nurses, civil servants, teachers, engineers, etc.) with no late payments, no loan defaults and no CCJs in the past two to three years. encash will NOT become a substitute for pay-day-loans. Hence people struggling to survive through pay-day-loans will most likely not be helped by encash lending members. encash social lenders will help borrowers with reasonable debt-to-income ratios to organise their debts sensibly by the availability of fixed repayment unsecured loans with periods ranging from 1 year to 5 years and borrowing rates typically ranging from 8% APR to 20% APR. encash borrowers will typically want to debt consolidate, buy new cars, make home repairs, pay educational fees, etc. Becoming an encash member is free and a truly social phenomenon aimed at facilitating both consumer as well as business borrowing. Check out http://www.yes-secure.com today, and shortly http://www.encash.uk.com url will also go live. YES-secure has received credit licenses from the Office of Fair Trading (Registration Number 631278), and is registered with the Office of the Information Commissioner (Registration Number Z1960081).